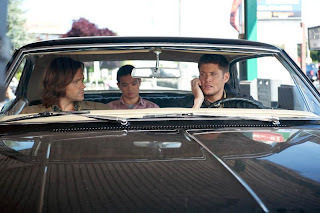 You may not know this, but Supernatural just started its eighth season. 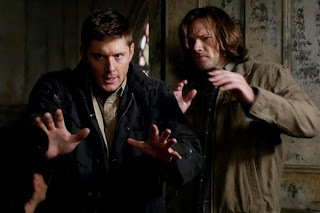 The truth of the matter is that Supernatural is a show about two brothers and the horde of evil and not-so-evil supernatural entities that they face and usually kill, in their quest to have some semblance of a life and save as many people as they can. In the beginning, way back in season one, this meant a lot of ghosts and weird creatures, like wendigo and skinwalkers. In the later seasons, it expanded to include demons, then angels, then Leviathan. It’s been a bumpy few years. And this, really, is precisely what I want to talk about. You see, Supernatural has been on the air for a long time. A very long time. It’s old enough that I was barely in college when it started, which was, for the record, a while ago. It’s also a very small show. For the bulk of its run the characters on the show, on the entire show, consisted of two men. That’s it. It was just Sam and Dean and everyone else slipped in and out of their lives. Eventually, Bobby became a permanent-ish figure. Then Castiel showed up and kept showing up. But by the end of the seventh season, it was back to our two main boys, who were utterly alone. How the hell do you sustain a show that’s got two main characters and virtually no others over the course of eight seasons? How on earth do you keep their storylines interesting, fresh, and their relationship relatable (or at the very least compelling)? As it turns out, you do this by making them the most messed up pair of suckers in the universe. This is, for the record, a good thing. You see, Sam and Dean Winchester are interesting. They have flaws upon flaws upon flaws. They fight, they hate each other, they sell their souls for each other, and they even found out that they’re soulmates. Which was a little hinky. My point is, these are not nice guys who don’t change or arc. Sam went from being a sweet college kid to a psychotic junkie in less than four seasons. Dean went from Han Solo to sad Keanu in the same amount of time. They’ve changed. And, again, this is a very good thing. Look at shows where the characters didn’t change all that much. I mean, look at House. It started just one year earlier and ended last year, so for all effects and purposes, they’ve run (or will have run by the end of this season) for the same amount of time. House never changed. Not really. Every time you thought he had, you’d look back and see that it was really just a ploy. Or he really would change, but the inexorable need for his character to create the conflict would pull him back in, and the writers would revert him. The Gregory House we left in the series finale really wasn’t very far removed from the Gregory House we met in the premier. Fine. That’s House. But Supernatural didn’t do that. Supernatural couldn’t do that. Each season finale on Supernatural increases the stakes of their lives. At the end of season one, they’re being beat up by a demon. By the end of season three, Dean’s going to hell. By the end of season five, it’s the literal apocalypse. 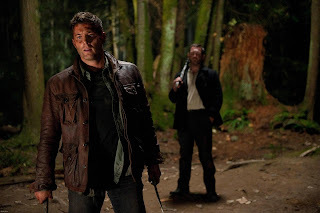 And of course season seven ended with Dean trapped in Purgatory after having defeated the Leviathan, Sam entirely alone for the first time in his life, and nearly all their friends dead or missing. Emotionally speaking, there is no way the boys could avoid changing. They’ve had to change in order to deal with the outsized insanity of their lives. What intrigues me, though, is how they changed in a cyclical way. And, more specifically, what that means now. Like I said, this is the beginning of the eighth season. 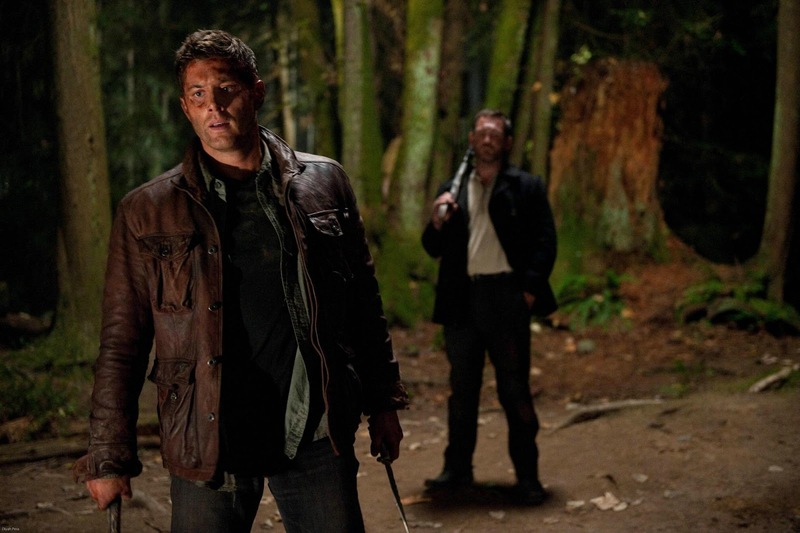 At the end of last season, Dean went to Purgatory, which is where every monster goes when it dies. It’s an entire plane full of evil snarlies waiting to tear you to shreds, and Dean was stuck there for a year. And this is after he spent forty years in hell, averted the apocalypse, and watched nearly everyone he loves die or go insane. Eep. So Dean comes back pretty cuckoo for cocoa puffs. His PTSD has PTSD. And this creates an interesting dynamic with Sam. Sam didn’t spend the whole year looking for his brother, he didn’t even spend a whole month looking for him. Sam went legit, got a girlfriend, got a dog, and settled down. From a character perspective, this is interesting. Sam wanted all these things back in season one, and maybe season two, but he hasn’t wanted them in a long time. In fact, in seasons four and five it was Dean who craved permanence. Dean was the one looking for a real life and an escape hatch. He even got it, but realized it wasn’t for him. The boys have come full circle. 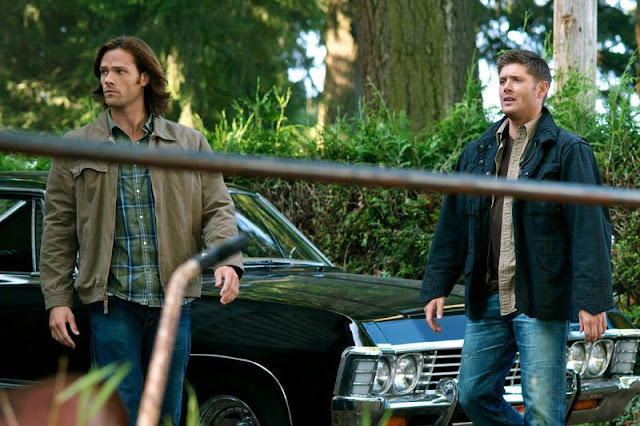 Dean is once again focused on hunting and baffled that Sam isn’t. Sam is once again kowtowing to family duty while longing for a better life. It means that they’ve gone as far as they can in the opposite direction, and now it’s time to return the boys to their factory settings. It means that the show is almost over. 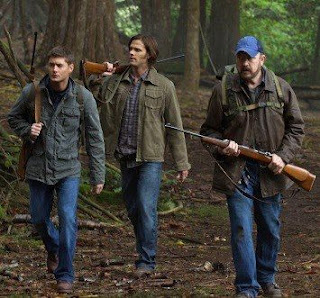 This actually pains me to say, since I love this show and I’d happily keep watching it until I croak, but I really think Supernatural is winding down. The boys are back where they started from. Now we can watch them progress along these same lines. Sam will eventually get his picket fence. Dean will keep hunting, but maybe settle down a little. Who knows, maybe the writers will even throw us a bone and Dean and Cas will take over Bobby’s scrap yard the way every fan secretly dreams they should. The point is, it’s time. The boys have had a hell of a good run, but they’re nearly through. There’s nowhere else to take these characters that they haven’t already been with a shinier monster. Sure, you can play with that idea itself for a little while, but basically, it’s over. You can have one season to pack it up, guys, but by the end of this I expect to see Sam married and Dean at least a little happier. So make it snappy. Supernatural airs at the NEW time of 9pm on Wednesdays on the CW.